!Note that T4’s are saved each year, so make sure that you select the correct year for printing. 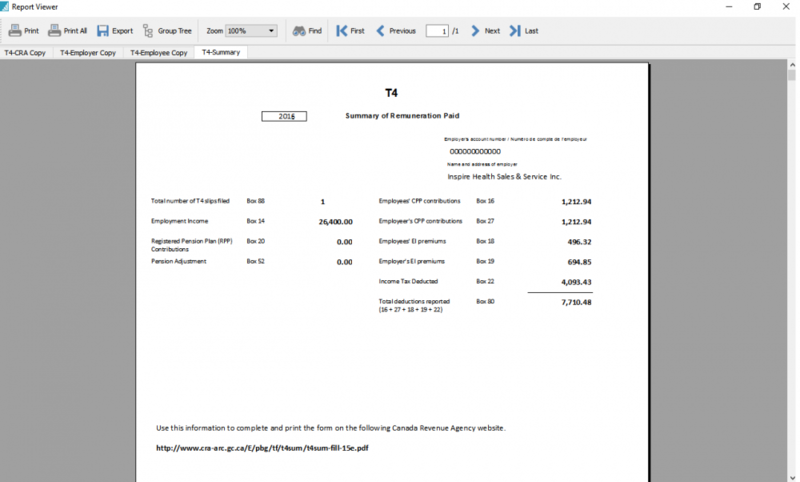 If T4’s need to be edited before printing, double click on the employee and adjust the amounts and then save. 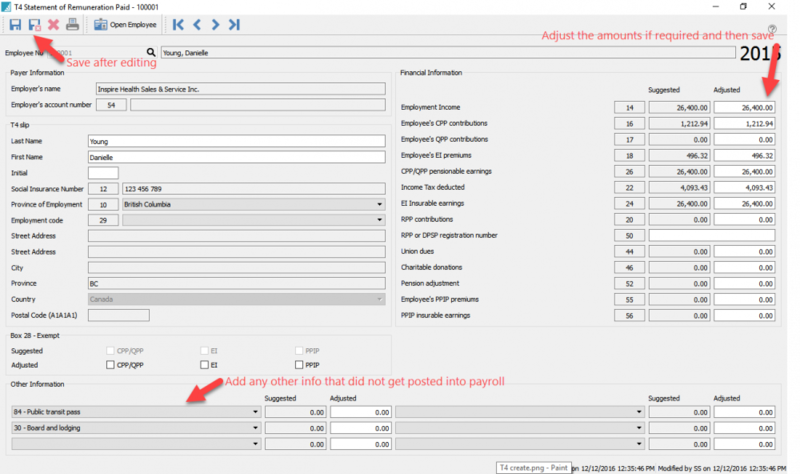 To print T4’s, highlight selected employees, if you just need some of them and select ‘Print Selected’, or select “Print All” if all employees T4’s are required.. 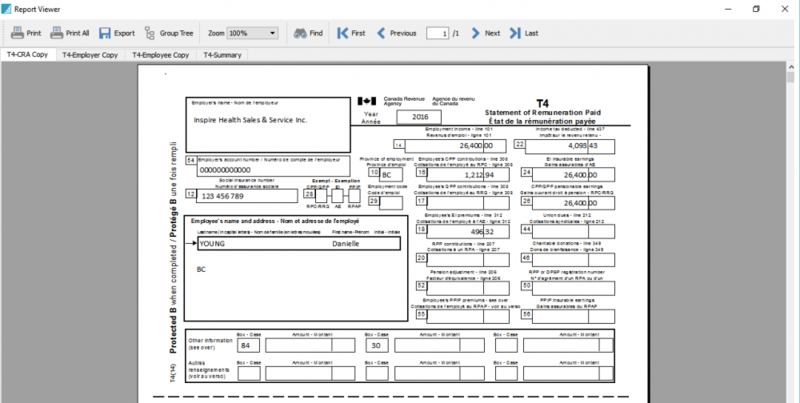 Select the T4 reports that are required.